Destroy the 3 Archer Towers with Barbarians. Then deploy the Balloons to destroy the rest of the village. Use Barbarians to destroy the 2 top Archer Towers. 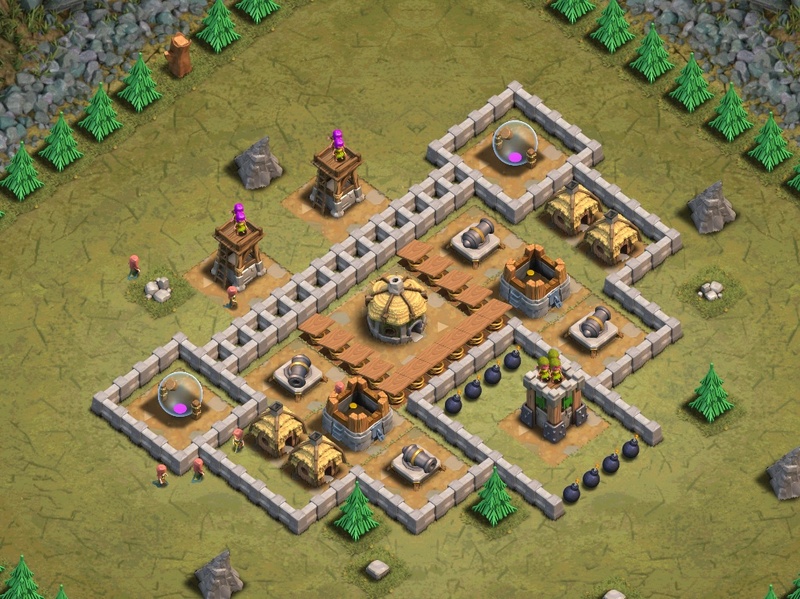 Use Barbarians to destroy the bottom Archer Tower. Use your Balloon to destroy the rest of the base. Make 26 Giants. Drop about 14 at the bottom Archer Tower and the rest at the top Archer Towers, finishing with 1 Balloon. Or strafe the top Archer Towers with archers, then deploy 3~4 Balloons (same as above) at the tower on the bottom. Never use ground troops to destroy the goblin’s Town Hall.